If you’re a CIBC customer, the bank wants you to make debit card purchases with Apple Pay. 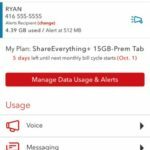 If you make 5 purchases, you’ll get a $5 cash bonus, according to the latest promo sent to customers. 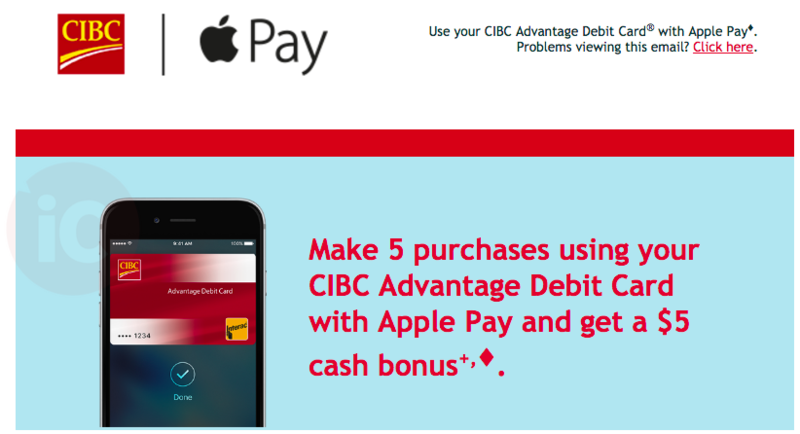 You just need to use your CIBC Advantage Debit Card for 5 Apple Pay purchases between October 1 to October 31, 2016, to get your $5 bonus, which will appear as a credit on your account, in the following month or two after the promo ends. This isn’t the first time we’ve seen a bank offer an Apple Pay promo for debit, as Scotiabank offered 10% cash back earlier this summer for customers. Let us know if you received this targeted offer and if you’re going to jump on it. Update: The targeted promo is offering $20 cash to Aventura customers.